Lord of the Rings, Imperial March and Dinosaurs. 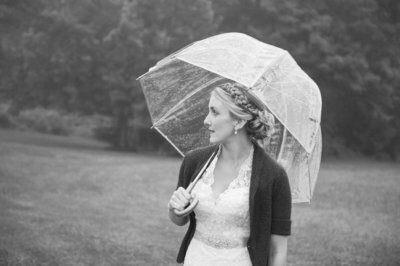 Kit & Dan’s wedding at Boyden Farm Winery had it all. 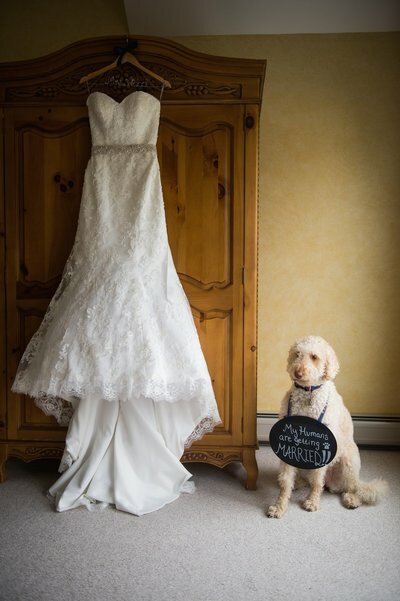 Add to that incredible amounts of personal touches, a handmade arbor, handcrafted charms, an amazing group of people, and two people madly in love and you have Kit & Dan’s Vermont fall wedding at The Barn at Boyden Farm. We selected the vineyards for Kit & Dan’s First Look session and unlike the days prior, took full advantage of dry (!) grounds, Vermont sunshine and epic views. The ceremony was short & super sweet and performed by Kit & Dan’s close friend Christopher. LOVE the dinosaurs!!! 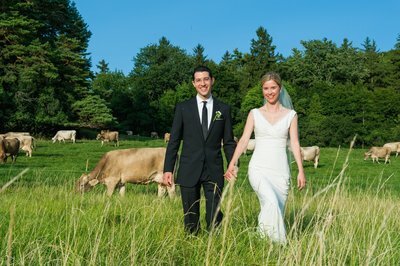 And unlike the game, the cake was not a lie at this Vermont barn wedding!! This crowd went CRAZY on the dance floor – Time Warp! Style!!!!! !